Last February, while driving to Vermont, I received a phone call from a businessman friend, Mike Landau, who has watched the development of iNK Think Tank with great interest. He called to let me know that Apple had just released a new FREE program, iBooks Author, that formats books for the iPad so they can be sold in the iTunes store. iTunes saved the music industry by monetizing each song so people could create individual playlists. Wow! What an opportunity! iPads are the tablet of choice in schools. The playing field has been leveled. 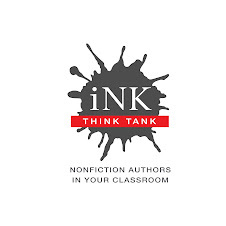 It’s now possible for our publishing company, iNK Books & Media (we reserved the domain name as part of iNK Think Tank) to come into being. Since we don’t have enough money to invest in our hiring someone, I could now learn to format books myself. That afternoon, I downloaded iBooks Author. (I learn by plunging in and making mistakes, so I never hesitate to try something new.) It required a free upgraded operating system for my Mac, which meant I had to pay for an upgraded Microsoft Office for Macs, but hey—we were on our way. One of the BIG issues for us children’s book creators is that other devices for ebooks are mostly for text only and don’t show art well (although that is now changing). The iPad, with its backlighting and relatively large (7” x 9”) screen is a stunning way to display images. I knew that I had to learn the program, but first I had to find a way to take apart a book and get it scanned. You Tube has some videos for that but it still takes some skill to do a good job. I took my first deconstructed book (with all rights reverted--an earlier battle) to my local Staples where my name on the book stopped them from questioning me about my right to get it copied. (Now I have a relationship with all the copy folk so I can get any book copied.) I enclosed a flash drive and had them make high res scans (600 dpi) in both the pdf and jpg formats. I uploaded the images first into iPhoto to crop off ragged edges, enhance the color, and make small touch-ups and orientation corrections. At first, I wasn't all that familiar with iPhoto so there was a learning curve for this step; but by April I was finally ready to try and create my first book with iBooks Author. The program offers a lot of templates where you can design a book by dragging art and text into their boxes. I have a feeling that they had their designers work with textbook people, who are fighting hard to maintain their hegemony in the school market, and then threw their text-booky-looking templates out there for us to play with. With the help of an online support community, I learned I could use the blank page option as my template to drag, drop, and resize images to create our books. But the hair-tearing-out aspects of learning iBook Author, pale in comparison to the other hurdles thrown my way. After the books are uploaded, I have to wait for the iTunes book review committee to review each book and issue a ticket for infractions. BTW, the iBooks people communicate with the iTunes people only by email. There are no humans talking to humans. By last week, I had successfully uploaded 14 books, of which 13 were on sale in 5 markets, the US, UK, Ireland, Australia and Canada. The last book was not approved because it had “scanned text.” They want the words laid into text boxes from a word-processing program so that they can use their new live dictionary and voice-over pronunciation function. With the vague feeling that I was waking a sleeping dog, I spoke to an iBookstore person and sputtered, “But all of our books are scanned, and they were approved!” Guess what! I am now the proud possessor of 14 tickets and none of our books are in the market! Still fighting the good fight, I responded to each of the 13 tickets with a highly articulate (possibly politically incorrect) letter about why we don’t need the dictionary look-up and that they were denying the bookstore superior works by well-established professional authors. No response so far from the anonymous powers-that-be at iTunes (the iBookstore people are sympathetic but relatively impotent). Man oh man oh man, what a persistent pioneer you are undaunted in this here digital frontier, valiant Vicki Cobb. If anyone can cut through all this red tape, you can. Most kids don't use a dictionary while reading--even an electronic one. They just keep on reading and usually the context helps them figure out the word. This blog is really informative for students who learn online. Thanks for sharing information with us regarding Online Assignment Help keep continue. Thanks for your comments and support. I'm happy to announce that four of the reformatted books just went up for sale, complete with FREE, downloadable preview versions, in the iTunes Store. If you have an iPad, go to the store and check them out. Search my name. And if you're an iNK member with oop books, please contact me. I feel your pain. We avoided some of the hassles by knowing from the outset that we were creating a book specifically for the iPad. My artist actually creates her drawing on a back-lit screen so she can see exactly how it will look on an illuminated iPad. Working backwards from a print edition does have many challenges. Because of the surge in digital publishing, I predict that more and more authors and publishing houses will be creating their books with both digital and print in mind so that the process will be smoother and fit each media more precisely. Author of "Princess Ramona, Beloved of Beasts"